Kohli is pipped by Salman Khan comfortably. Cricketers are no less than the celebrities in India and it reflects in their earnings as well. 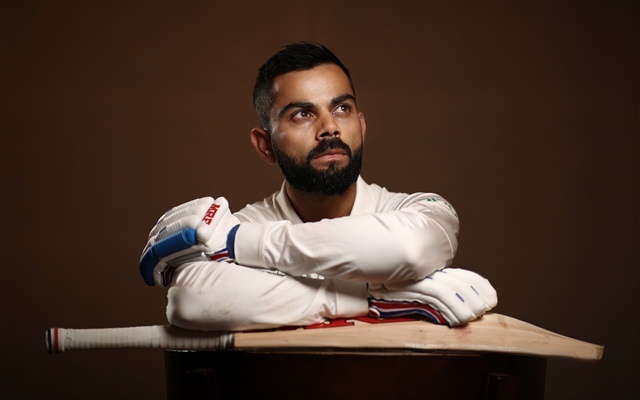 The superstars of the Indian cricket always hog a limelight off the field as well and it is clear with the way the Indian captain Virat Kohli is endorsing the brands. it is no surprise that he is ranked second in the latest celebrity list released by Forbes only behind the Bollywood superstar Salman Khan. Virat Kohli earns a massive amount of Rs 228.09 crores every year with Salman pipping him in this aspect by close to more than Rs 25 crores. However, there is a yawning gap between the top two and the third who is Akshay Kumar with the total earnings of Rs 185 crores which is by no means a smaller amount. The amount of fan following these people have, they are certainly expected to be on this list and dominate it. Apart from Virat Kohli, the former Indian captain MS Dhoni and Sachin Tendulkar have also made it to the top 10. While Dhoni is placed fifth in the list, the latter is at the ninth position with the Bollywood actors dominating the remaining positions. The man who won all the ICC trophies for India under his leadership, Dhoni is one of the top personalities in the country and deservedly earns Rs 101.77 crores. Meanwhile, Sachin has kept himself busy in some or the other activities ever since he called it day from his 24-year illustrious career five years ago. He is paid Rs 80 crores every year which is again a whopping amount by one of the most followed celebrities in India. However, there is a huge difference between the payments of Virat Kohli and his wife Anushka Sharma. The Bollywood Diva earns only 45.83 crores which are extremely less when compared to her husband cricketer. Though she is ranked 16th in the list of the top-earning celebrities.